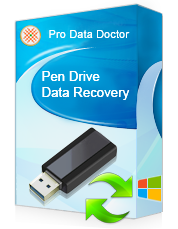 USB drive file recovery software for Windows which recovers lost USB drive files and data. 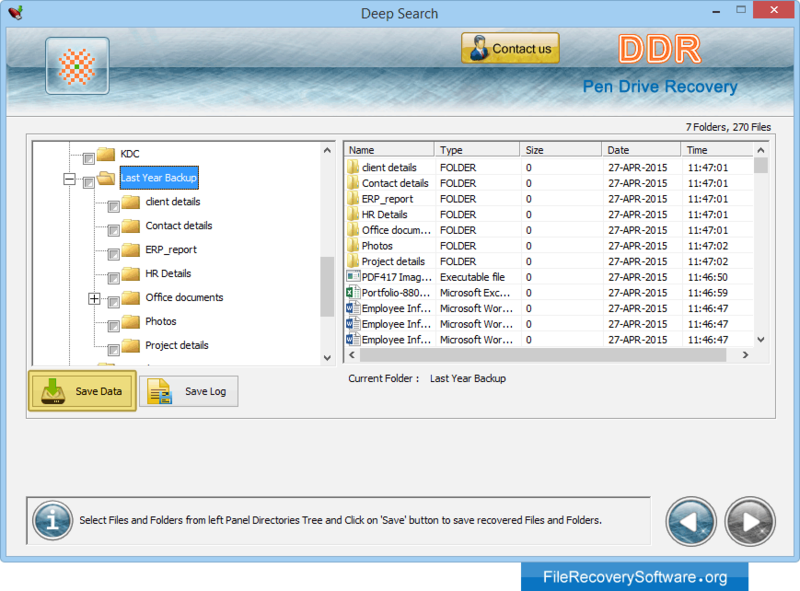 Pen drive file recovery program that help to regain all deleted files, folders, pics/, mp3 songs, video clips, documents etc. even from logically damaged, corrupted & formatted USB media also popular as: Pen drive, Memory stick, USB drive, USB Flash drive, Thumb drive, Compact Flash drive and other similar USB drives. USB drive file retrieval uses disk scanning techniques to recover audio video files from all major types of digital removable media. 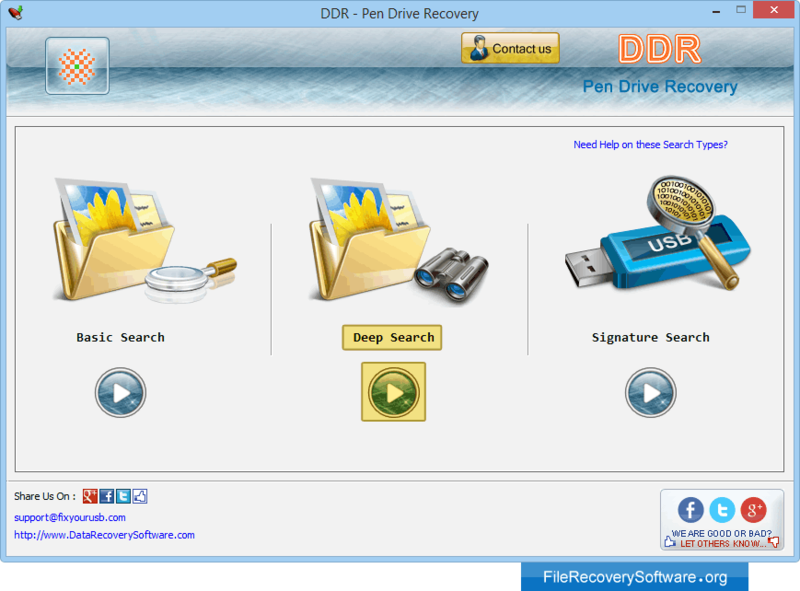 Software offers file rescue and disk diagnostics capabilities to fully restore USB drive data even if most common systems generated errors like: Drive not formatted, Drive not detected, USB Flash drive I/O error’ etc displayed while accessing portable USB media on My Computer. Supports recovery from all major type of digital media brands including Transcend, Canon, Casio, Sony, Samsung, Kingston, Toshiba, LG, Hitachi, Fujifilm, HP, Kodak, Konica, Lexar, Maxtor, Pentax, Sanyo, Super Talent, Epson, Acer and other popular USB drive brands. Software performs easy restoration of data with support to 512MB, 1GB, 2GB, 4GB, 8GB and even higher capacity USB storage drives.